The Otago Stadium provides an unbeatable atmosphere as the country’s only fully enclosed, natural turf stadium. The pitch itself is something special, being the first time worldwide that natural grass has been grown under a fixed roof. The fixed, transparent ETFE roof keeps the temperature inside the Stadium between 3-4 degrees warmer in summer and 2-3 degrees warmer in winter, ensuring the ultimate experience for spectators, players and performers. This world-class facility hosts a range of sporting, entertainment and cultural events - whatever the weather. 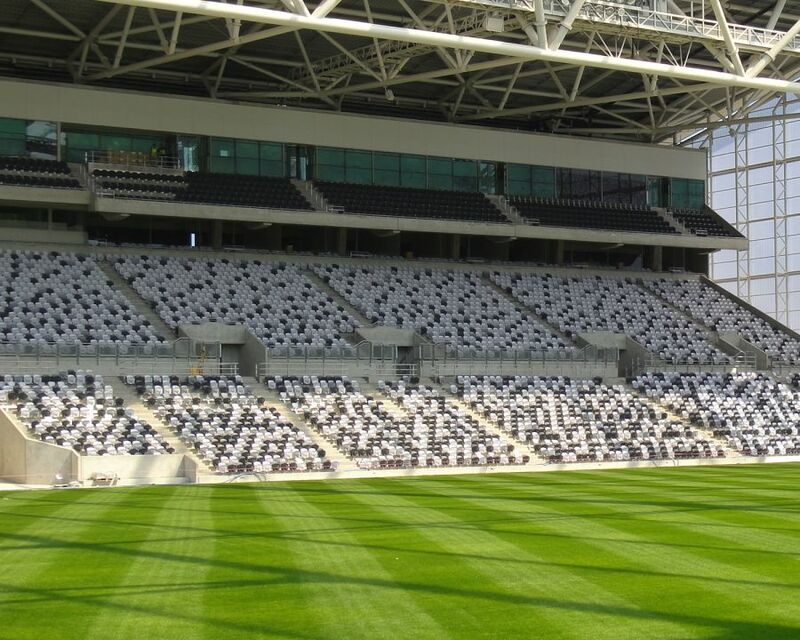 The North and South stands have a permanent seating capacity of approximately 20,000 spectators of which 18,000 are Effuzi’s Albany stadium chairs. The Albany seat colours were selected to ensure the maximum reflection of light to enhance the natural turf growth whilst providing favourable results for television media regardless of spectator numbers.